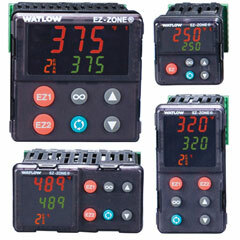 EZ-ZONE controllers offer additional features and options including application blocks with timers and counters, on-board data logging, SENSOR GUARD backup to protect loads should a sensor fail, AUTO CLONE™ automatic configuration backup and restore and more..
Watlow® Visit our online store for literature & purchase. 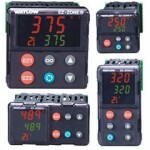 Need help selecting the options to configure your Temperature Controller? 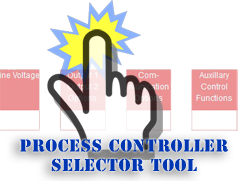 Industrial & Electric Supply provides a Process Controller Selector Tool that will guide you in selecting the options necessary for your Temperature Controller.